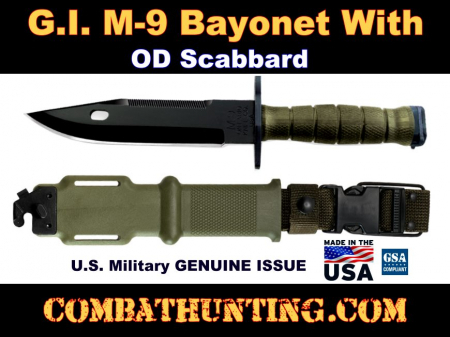 M9 bayonet for sale, U.S. Military M-9 Bayonet with Scabbard Third Generation (GENUINE ISSUE). 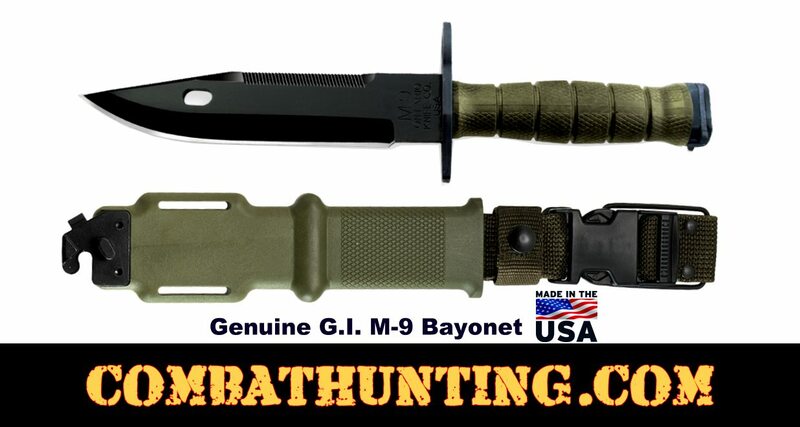 This GI M9 Bayonet knife incorporates numerous improvements to previous designs and is compatible for mounting on M16A1, M16A2, M4 Carbine and pre-ban AR15 style rifles. Black Zinc Phosphate non-reflective finish is applied to each bayonet blade, blade features milled saw teeth. M-9 Bayonet With Scabbard (OD Green) Comes With A Built-In Wire Cutter And Screwdriver. Ontario Knife Manufactured entirely in the USA. 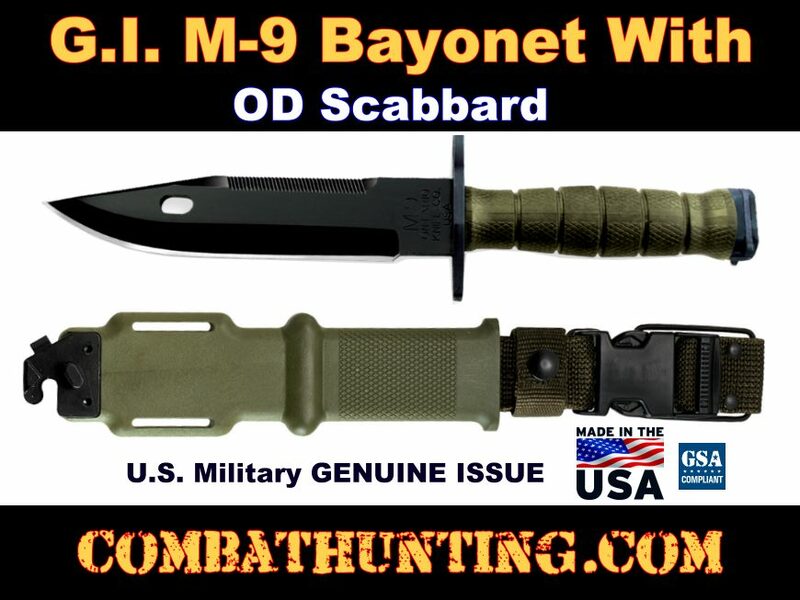 This Is A Great Knife / Bayonet For Military Combat And Hunting. The Perfect Gift For Any Body In U.S. Army, Marine Corps, Navy, Air Force and National Guard. Note Fits M16 rifle, M4 carbine, AR-15 Rifles With Bayonet Lug. Note Fits Mossberg 590 Tactical Shotguns With Bayonet Lug.